As a personal trainer or coach, you'll create workouts using the GYMLETE builder and your clients will subscribe to YOUR training plans with YOUR branding so they can do workouts FROM you even when they can't be WITH you. To learn more contact us today! It's like having another instructor to help you run a group fitness class. 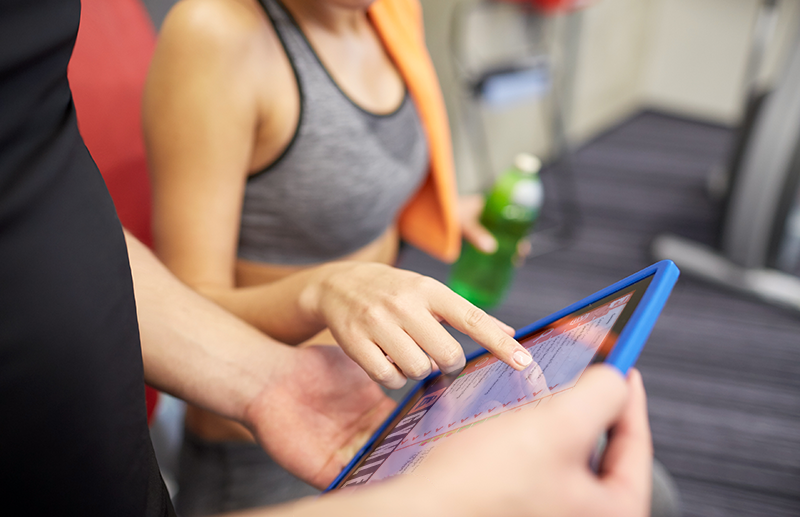 You create the workouts using the GYMLETE Builder, then class participants follow along with the workout on the GYMLETE Movement Screens while you focus on form and safety rather than having to demo every move. We've all gone into a weight room, picked up a pair of dumbbells, and done about 5 or 10 different exercises before we run out of ideas. GYMLETE has over 300 dumbbell exercises in addition to many other types of exercises: bodyweight, kettlebell, suspension trainer, bosu, and many more. With the GYMLETE Weight Room Program, you can create virtually unlimited workouts to give constant variety in your exercise programs. 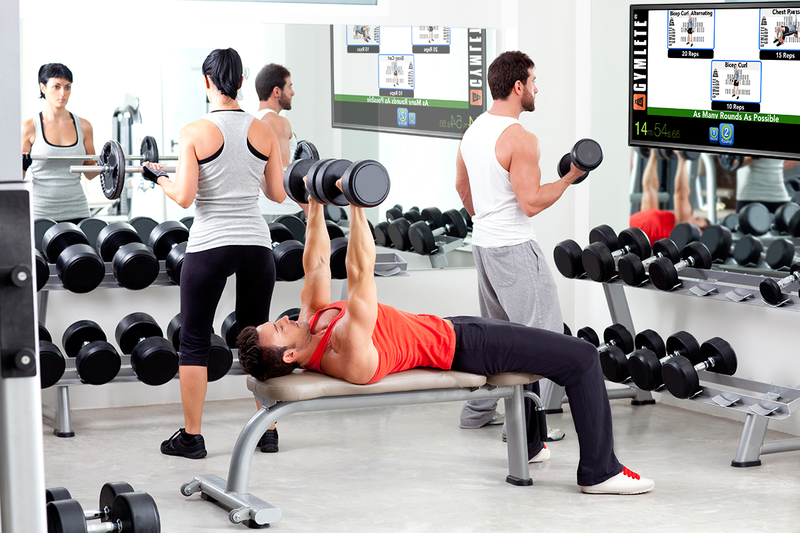 Or GYMLETE can provide curated workouts to run in your weight room. You want your employees to get and stay healthy. 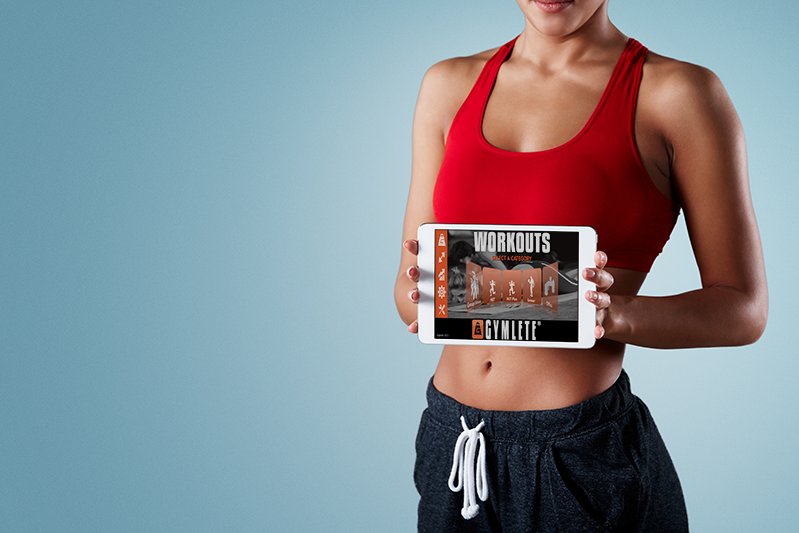 GYMLETE can help by providing customized, branded workouts. 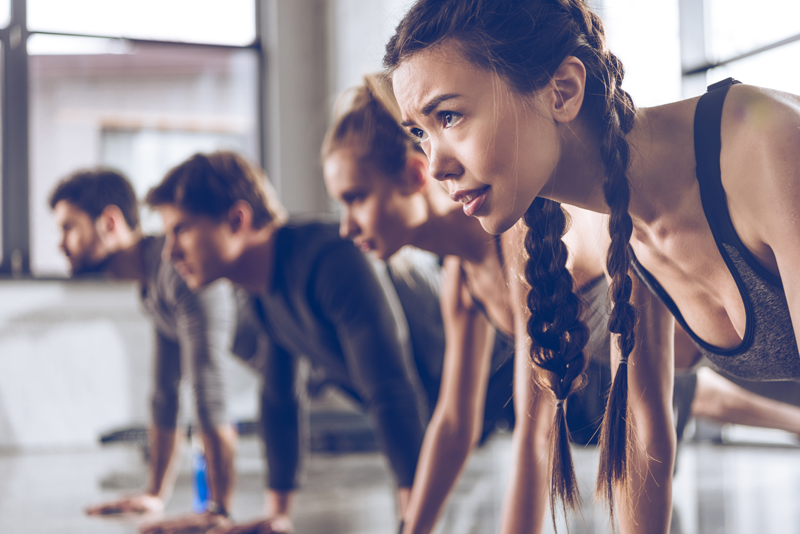 GYMLETE can curate the workouts for your employees or, if you have a trainer, he/she can create virtually unlimited workouts. In addition, the GYMLETE software has Fitness Tests so employees can assess and track their improvement over time. And GYMLETE includes Office Workouts that your employees can do right at their desks! Work out anywhere, anytime - NO EXCUSES! GYMLETE workouts are extremely customizable: length of the workout, exercise level (beginner, intermediate, advanced), exercise interval times, rest times. No internet connection is required after the initial download of a workout, making GYMLETE a great tool to take your fitness program on the road when you travel or even if you want to work out in the middle of nowhere. 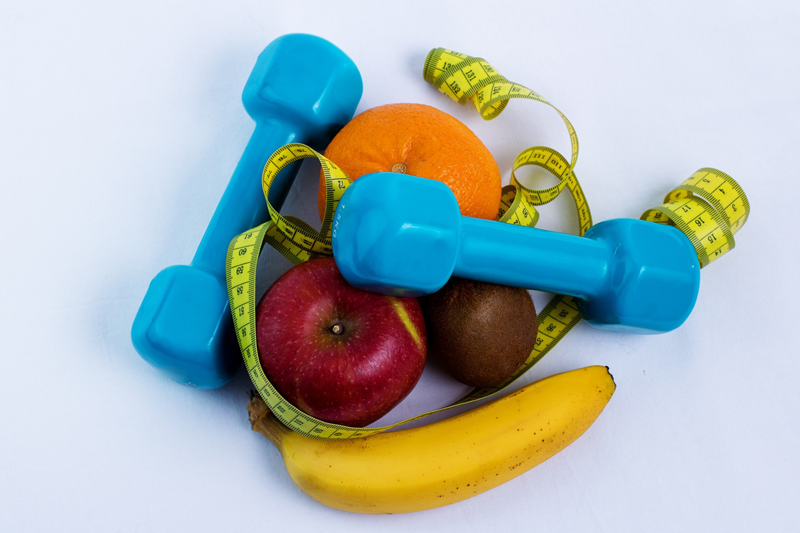 Do you want to have your own fitness app but the software development costs are prohibitive? Partner with GYMLETE for a customized solution that fits your unique brand and your budget. We can take care of the entire process from the filming and video editing to software integration and App Store management. If you have ever considered having your own branded fitness software, we are your one stop solution. Ready to learn more about GYMLETE? Tired of streaming content? Are you looking for a better solution? We have over 30 years of experience designing custom software. We have brought that expertise to the fitness industry. Feel free to contact us; it would be our pleasure to work with you to find the best solution for your needs.